One of the things I love about being in medieval era towns is seeing how things work in their medieval streets. There is a building on a street about 10 feet wide that is getting a complete facade redo. It is 4 stories tall. 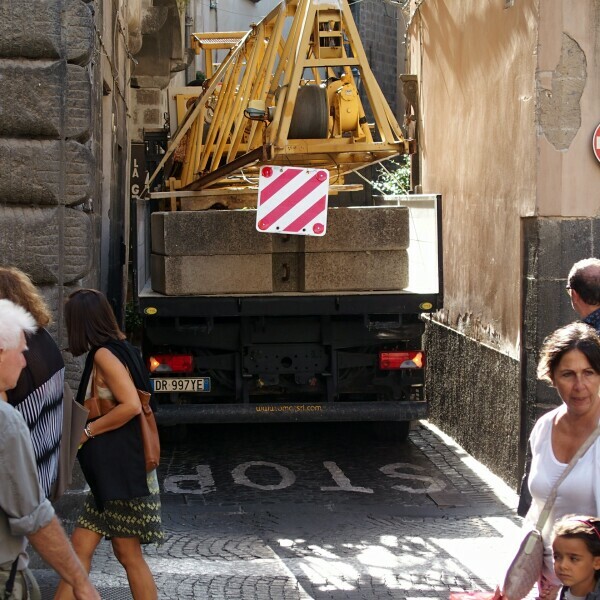 They put in a crane, which arrived in pieces, in a piazza 50 feet from the building. 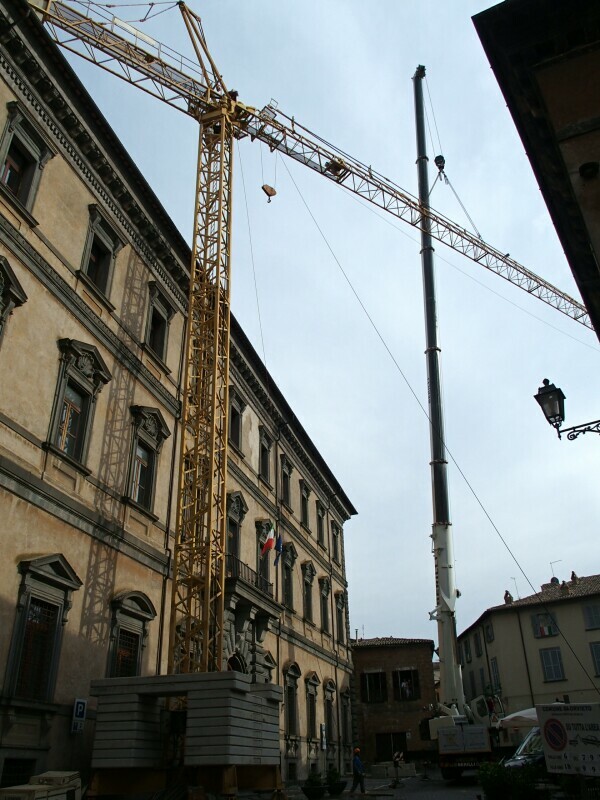 It was the only place the crane would fit and its boom is long enough to reach all of the building being refaced. 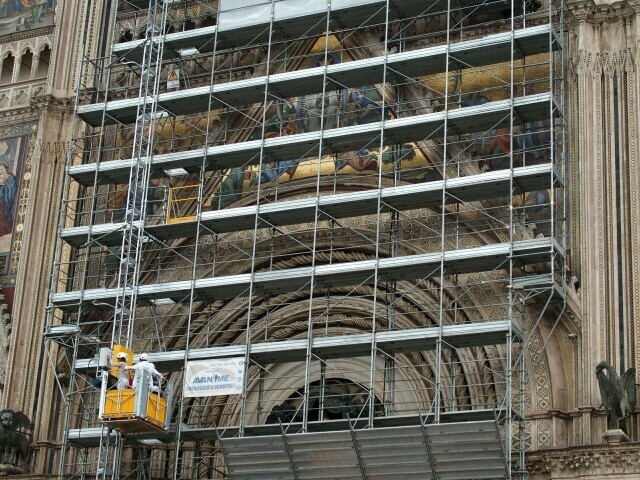 Below is a picture of the scaffolding on the facade of the Duomo with the elevator taking people up to do restoration work. The following are from Lecce. 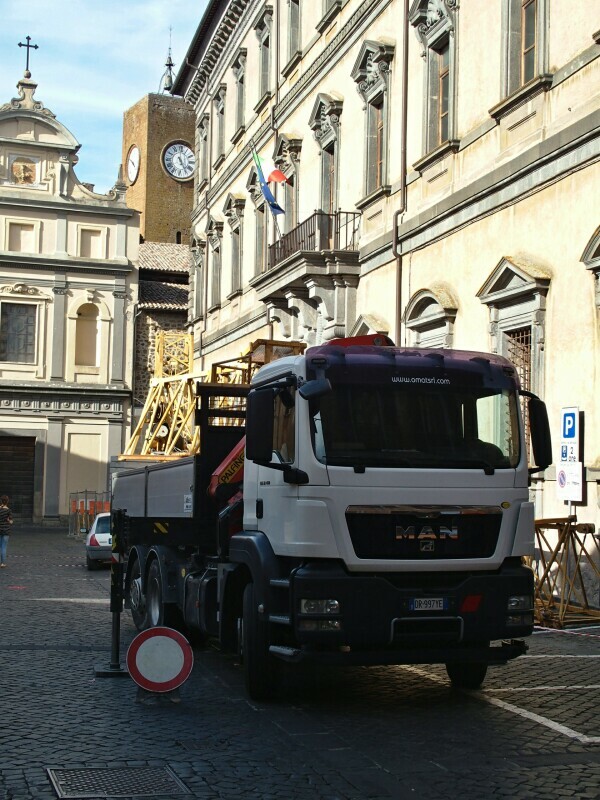 Cleaning the street with a broom and dustpan, getting around with this little vehicle. Later we saw three women systematically sweeping up a street this way. 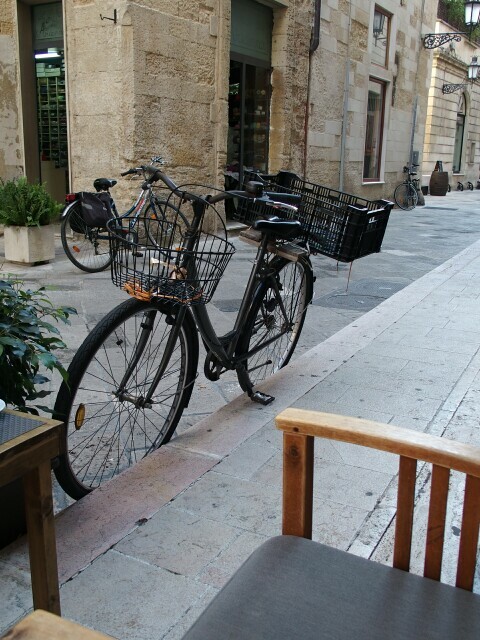 Lecce is incredibly clean. 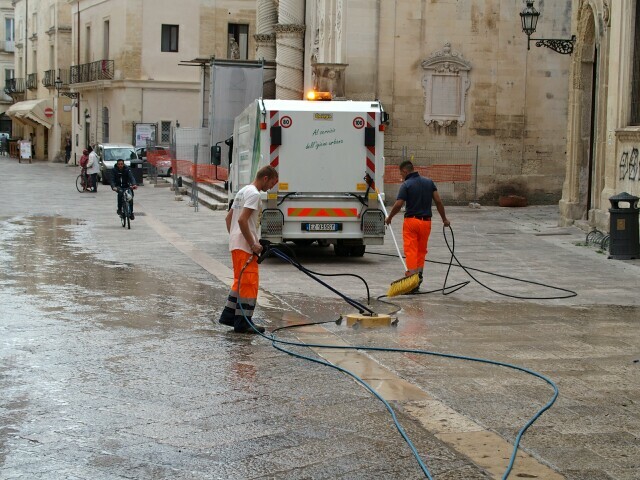 The streets are a whiteish limestone and here they are scrubbing it. They were all over town doing this! 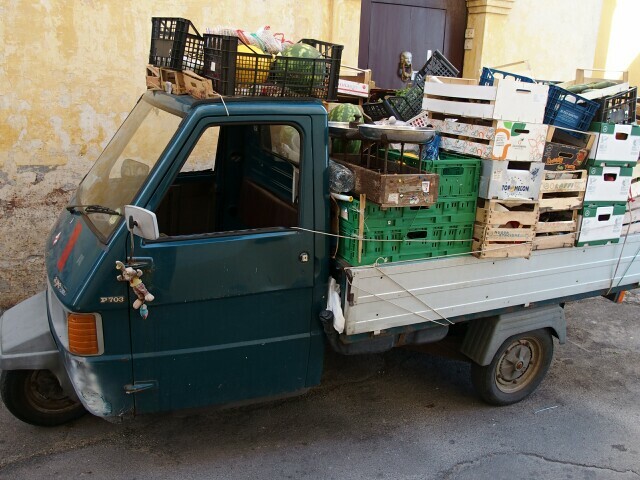 And finally a vendor delivering his fruit and vegetables with this “ape”, complete with contents on the roof. Just love how creative this all is!! I guess you do what you have to do to get it done!! Definitely creative!! Oh, I just love Italy. Hope to be there next spring.